Package: 9 nurse watches, 1 Top Plaza Gift Bag. 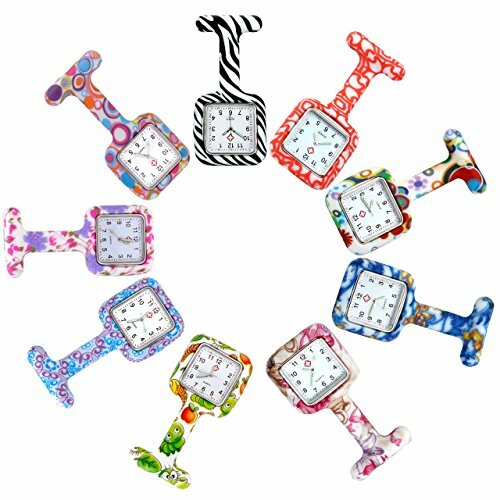 Cute and colorful flowers pattern silicone jelly fob pocket watches for doctors, nurses or other people who works in the hospital or any medical occasions. Wholesale 4 pcs pocket watches with very affordable price.